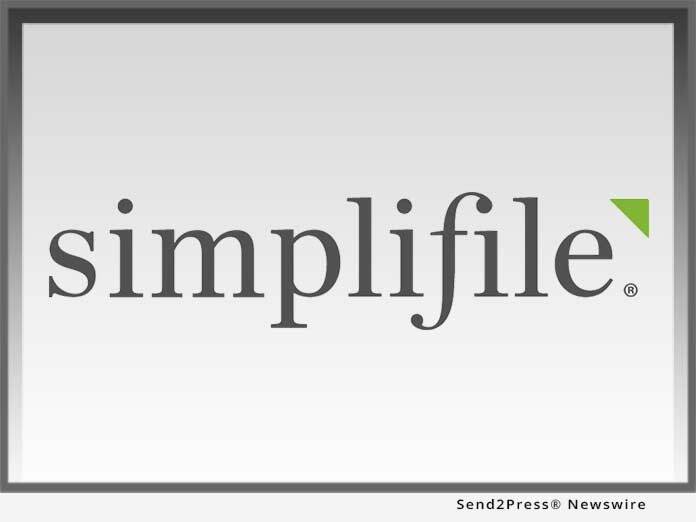 PROVO, Utah, Mar 06, 2018 (SEND2PRESS NEWSWIRE) -- Simplifile, a leading provider of real estate document collaboration and recording technologies for lenders, settlement agents, and counties, announced that it has been approved by the Arkansas Secretary of State as an electronic notary (e-notary) service provider. As a result, Simplifile users in the 23 Arkansas recording jurisdictions in Simplifile's e-recording network will now have the ability to electronically notarize documents, thus streamlining their processes and allowing them to keep as much of the real estate transaction electronic as possible. "E-notarization is widely recognized within the mortgage industry as one of the final keys needed to unlock the benefits of a complete digital mortgage process," said Simplifile President Paul Clifford. "Now, Arkansas mortgage and settlement professionals can also utilize the full potential of Simplifile's services to reduce instances of delayed closings due to incomplete or incorrect notarial acts and imbue the closing process with secure, trackable transparency. In addition, servicers can also take advantage of Simplifile's e-notarization capabilities to facilitate the lien assignment and reconveyance process." Simplifile is only the fifth e-notary service provider to be approved by the state since it began allowing e-notarizations in 2013. The announcement comes six months after the Arkansas state legislature enacted the Electronic Notary Public Act, which amends previous state laws governing the provisions under which the Arkansas Secretary of State may regulate and approve vendors for e-notary services. "The addition of Simplifile highlights the growing electronic notary initiative in Arkansas and the acceptance of a more progressive manner of performing notarization," said Arkansas Secretary of State Mark Martin. "It's a system we believe is more secure and ultimately provides a faster, more efficient process for the notaries, homebuyers, and companies that utilize it." Currently, 1,744 U.S. county recording offices use Simplifile to e-record deeds, mortgages, and other documents. For a current list of all jurisdictions within the Simplifile e-recording network, visit https://simplifile.com/e-recording-counties/.